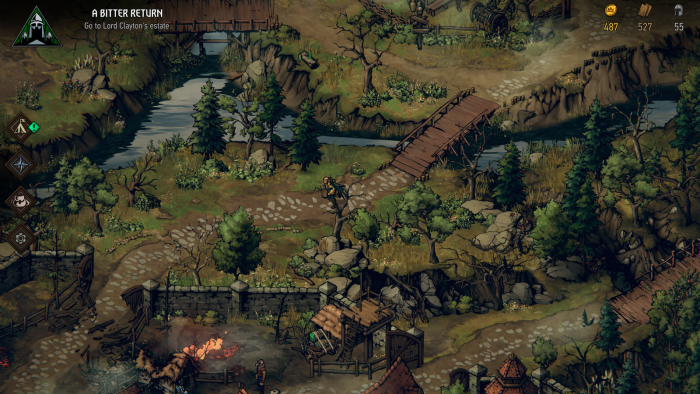 There are two kinds of people who could find enjoyment in Thronebreaker: The Witcher Tales. People who like Gwent and want some fresh single-player action, and people who want more stories and lore from the world of The Witcher. Let’s start with the former. I’m here for the awesome story, not this ‘multiplayer’ thing. 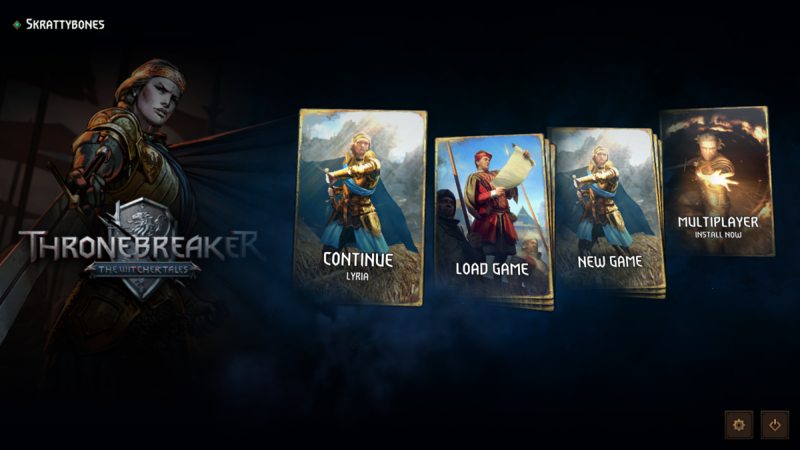 The gameplay of Thronebreaker is a mixture of standard and modified Gwent. Rounds are broken into turns, divided by sides, where each player takes their turns playing down cards, many of which have special and situational abilities, in an attempt to destroy cards on the other side, but ultimately the goal is to end a round with a score higher than your opponent. In the variants, special rules are set and cards and pre-determined, and failing to execute on whatever the game wants of you will result in a failure, requiring you to restart the match over and over, if you’re the type of person who just cannot accept failure as an option. As it turns out, I don’t like Gwent. I can’t wrap my head around even the basic rules, the wording on the cards makes no sense to me, and I don’t like the idea that you can just throw cards down and win because your numbers got bigger. I guess? Is that how it works? That seems like how it works, but I can’t make heads or tails of the rules, so I’m probably doing it wrong. Thronebreaker also allows you to just straight up skip battles. Which I highly recommend doing if you don’t care for Gwent. If you’re in that second group of people I mentioned? Just don’t engage with the card game. Just start every battle, forfeit, and then skip it entirely and move on, and peacefully enjoy the epic story of Meve, Queen of Lyria and Rivia. The other aspects of the game have you running around the various landscapes from a top-down, isometric perspective, collecting resources and making story-based decisions along the roads and in every village you happen across. Occasionally these lead to battles — just skip ‘em — and then move on, collecting more resources to build up your war camp. Running around at the speed of.. a woman in armor, on foot. Even taking my advice and skipping the gameplay, the story and art alone are worth it for Witcher fans. Animated cutscenes scattered throughout the game look like a mixture of the best Telltale Games works and more recent animated graphic novels, with voice acting on par with the core Witcher games.